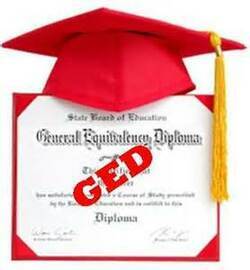 GED Prep books and tests. Available for use in the library. See library staff to check out the materials. Free printing and flash drives. A great place to work on your resume! by Julie Otsuka. This is the featured book by the NEA Big Read. NEA Big Read is a program of the National Endowment For the Arts in Partnership with Arts MIdwest. We have extra books available, and this book is for you to keep! If you would like to read the book or join the club, please call the library at 217-847-2219 for more information. ​ At this time they are working on a Fundraising Project. They would love your input. Why not stop by and see if your are a good fit for the group. New ideas are ALWAYS welcome!! audio books on CD that we now have available. Setting up an account is quick, secure, and easy. Join the millions and create an account now! Individuals who are blind, vision-impared, learning-disabled or physically disabled are eligible to become listeners of the Radio Information Service, a radio broadcast of local, regional, and national publications that gives those unable to read printed material in a way to keep up with the news in their local community and the world. A service of the Tri-States Public Radio and the College of Fine Arts and Communication at Western Illinois University, the Radio Information Service was established in 1978 and broadcasts 24 hours a day, seven days a week from the WIU campus. Volunteers deliver daily new and information by reading everything from the Keokuk Daily Gate City to the Wall Street Journal. Evening broadcasts include an array of programming from dozens of publications such as Entertainment Weekly, AARP Magazine, Field & Stream, as well as novels and short stories. The serve is a broadcast in the tri-states are on subcarrier channels of WIUM-Macomb, WVKC-Galesburg and WIUW-Warsaw/Keokuk. A special receiver is required to hear the broadcasts in these areas provided to eligible listeners at no cost. A web streaming service is also available.